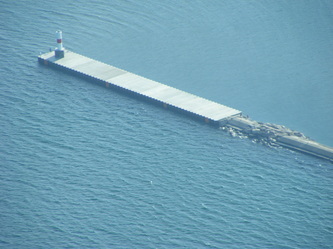 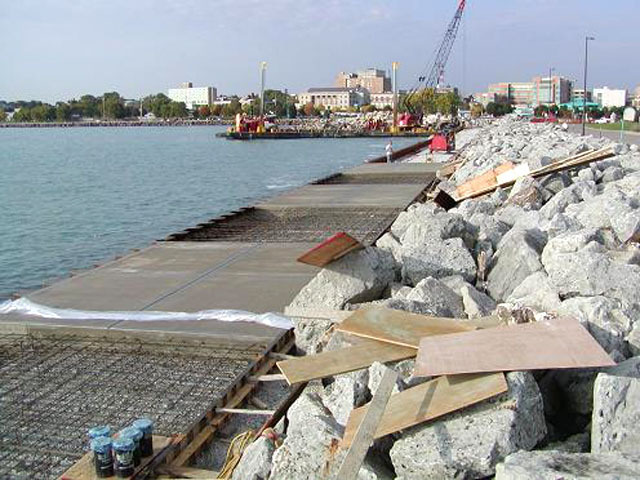 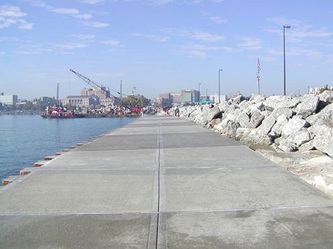 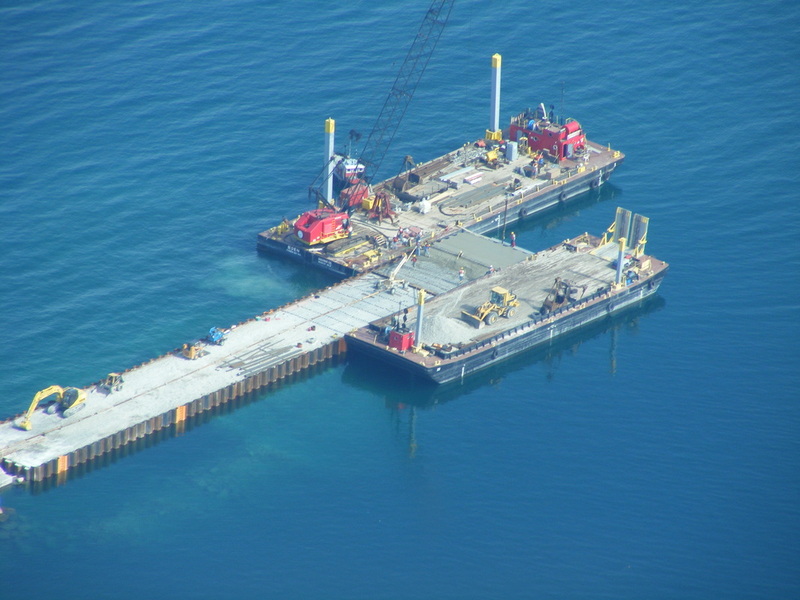 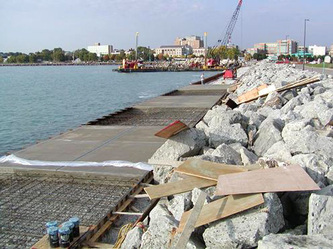 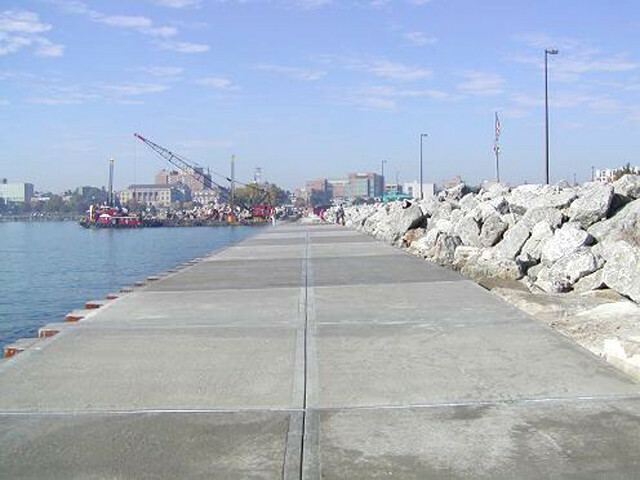 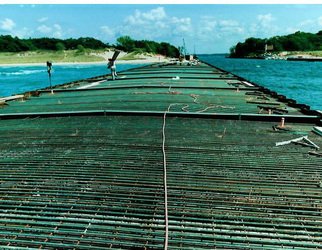 Concrete work adjacent to a body of water always presents some difficulties. On occasion, concrete can be pumped right to the jobsite and sometimes concrete trucks are loaded onto barges and towed to the site. 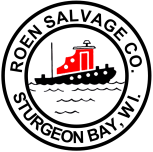 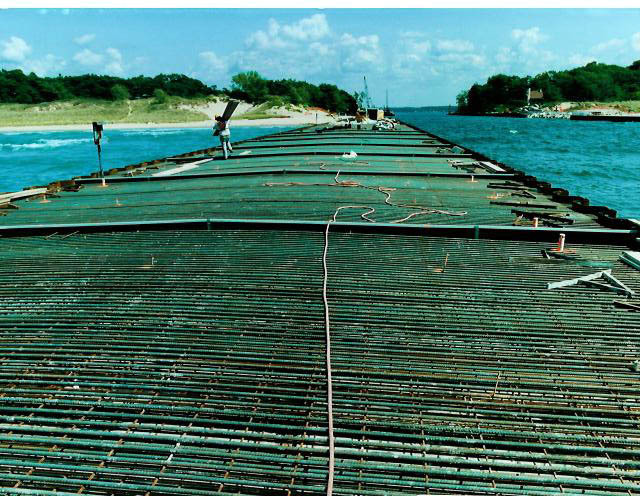 In extreme situations the cement, sand and aggregate are loaded onto barges and mixed at the jobsite with portable batching plants. 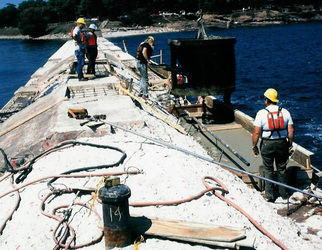 From resurfacing to completely new construction, a quality product is always delivered.